(Phys.org)—A team of researchers with members from several institutions in South Korea has developed a means for creating organized yet random mazes on tiny particles. 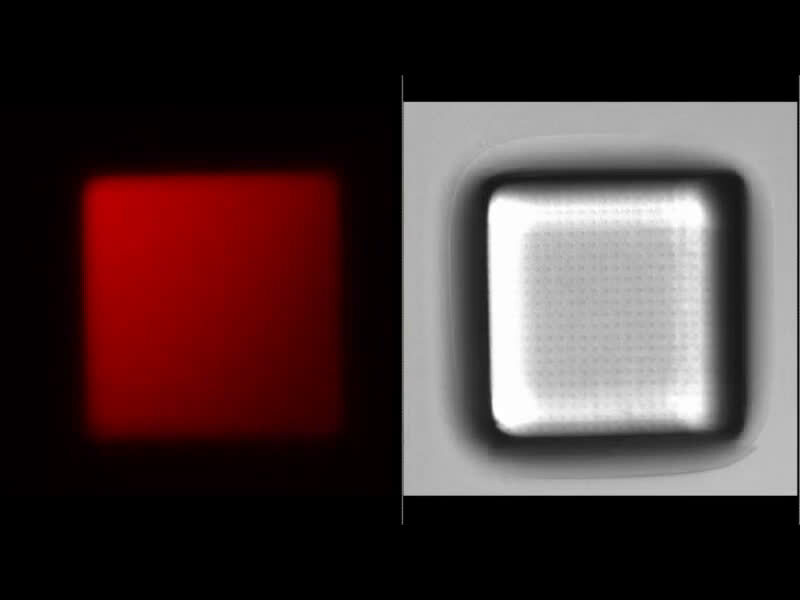 In their paper published on the open access site Science Advances, the group describes their technique and possible uses for such tiny mazes. As the researchers note, prior efforts have been made by different teams to create tiny mazes by taking advantage of wrinkling, but until now, there was no order to the resulting mazes, which meant there was little practical use for them. 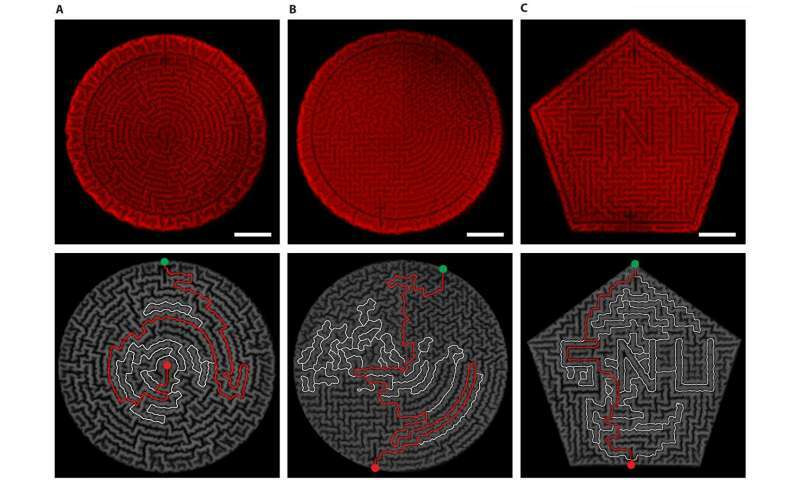 In this new effort, the researchers have found a self-organized way to construct maze-like microstructures that are periodic and ordered but which also have a degree of randomness to them. To make their mazes, the team used ultraviolet light to etch patterns on a given microparticle—photomasks (tiny plates with holes or slits to allow light to pass through in a pattern) were used to create specific etched patterns. The design on the particle was then coated with silica. As the silica dried, the surface wrinkled naturally, creating ridges that became parts of the maze—bends, for example, or endings, straight lines or splits. The use of the photomasks to create designs on the particles prior to shining the ultraviolet light allowed for controlling the way the parts of the maze arose as the silica wrinkled. The technique also allowed for customizing the overall look of the maze, resulting in perpendicular-shaped, hexagonal or even ring-shaped mazes. The team reports that they were even able to make one maze that had the capital letter N at its center. The team notes that the mazes could be made without blueprints and that they could be given unique features by adjusting the photomasks, making them ideal candidates to serve as security features. The tiny mazes could serve as what the team calls "physical unclonable functions" offering a physical way to undergird an encryption system with an ID-creating technique baked right into a system, making it virtually impossible for a hacker to gain access. Bacteria races? Diptheria versus Cholera?